At LEWIS & DICKSTEIN, P.L.L.C. 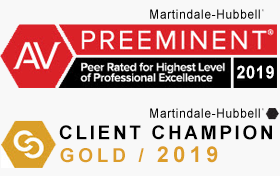 we pride ourselves on providing the best possible value to our clients while at the same time, delivering the highest level of legal defense available in Michigan. Affordable does not mean cheap; it means a fair price for top quality criminal defense. As with most every profession, criminal defense attorneys in Michigan come in a wide variety of price ranges. Similarly, they also come in a very broad range of quality and effectiveness. Unfortunately for the prospective client who is charged with a felony or misdemeanor and who is in need of emergency help, it is really difficult to know what lawyer is the best for them and who charges a fair and reasonable fee. Often times, the best fit for a client is not a lawyer who is the most expensive and is virtually never the least expensive. It is possible to find an effective and affordable criminal defense attorney but a client should not trust their fate to the lowest bidder. The time and labor required, the novelty and difficulty of the questions involved, and the skill requisite to perform the legal service properly. At LEWIS & DICKSTEIN, P.L.L.C., we pride ourselves on providing the best possible combination of effective, aggressive and tenacious representation with prices that are fair and reasonable in comparison to our high level of experience, outstanding reputation in courts and unparalleled track record of providing extraordinary results. 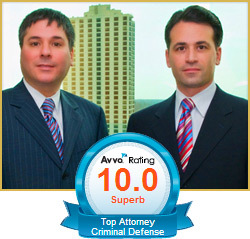 When you consider the level of service we provide our felony and misdemeanor clients, there is no better value. We handle federal and state criminal charges throughout Michigan. 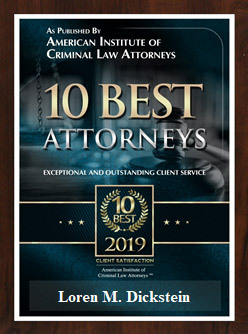 If you are charged with or being accused of a felony or misdemeanor case in Michigan, please do not hesitate to call LEWIS & DICKSTEIN, P.L.L.C. at (248) 263-6800 for a Free Consultation or kindly complete a Request for Assistance Form and a seriously experienced and affordable criminal defense lawyer will promptly contact you.